William M. Rodwick, PE, MPA, was recently honored and received a Certificate of Excellence from the Professional Engineers in Construction Group (PEC) for his distinguished career as a professional engineer, his exemplary dedication in supporting the profession as past president of the Practicing Institute of Engineering, and his volunteer services to the New York State Society of Professional Engineers (NYSSPE). 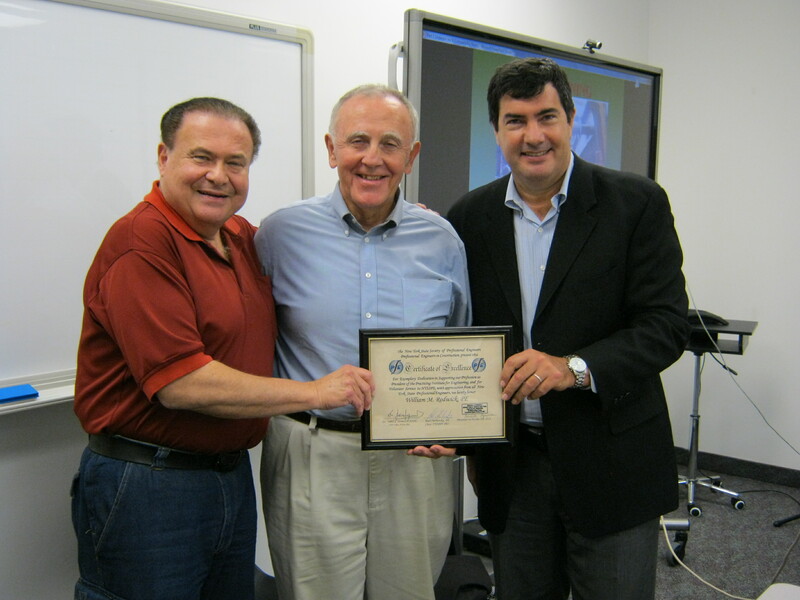 The certificate was presented by Rudi O. Sherbansky, PE, chair of PEC, and by Dr. Jim Yarmus, PE, chair-elect of PEC of the National Society of Professional Engineers (NSPE). 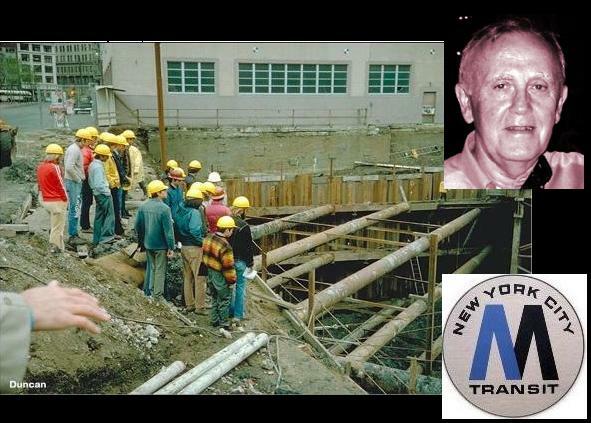 Mr. Rodwick was honored during a recent PEC event on October 8, 2013, at which he provided members of NYSSPE a presentation on the topic of foundation walls and underpinning design. Mr. Rodwick has worked for over 24 years with NYC Transit (MTA) as senior construction manager, chief of quality and safety management, and assistant vice president of the Engineering & Design Division. Prior to that, Mr. Rodwick worked for 25 years with the US Army Corps of Engineers. Mr. Rodwick also served as a technical and continuing education trainer, developing and presenting over 25 courses to thousands of design and construction professionals. He is a licensed professional engineer in New York State, with a BSCE and MPA. Mr. Rodwick’s presentation at the PEC event was an overview of temporary and permanent support to existing foundations in order to provide additional depth or to increase the soil’s bearing capacity. The intent is to support the structure without failure and without settlement that would be detrimental to its integrity or function. Several types of underpinning were reviewed, and analysis methods were presented under a variety of soil and foundation conditions. Construction processes were also discussed based on specific case projects. Provide effective forums for discussion and united action on the part of society members involved in the construction industry, for the enhancement and betterment of professional recognition and status, conditions of employment, and other matters of mutual welfare. Enhance professional recognition and status of engineers in the construction industry and report on notable construction projects and engineers’ and firms’ achievements in the construction industry. Note: NYSSPE facilitates posting on this blog, but the views and accounts expressed herein are those of the author(s) and not the views or accounts of NYSSPE, its officers, or its directors, whose views and accounts may or may not be similar or identical. NYSSPE, its officers, and its directors do not express any opinion regarding any product or service by virtue of reference to such product or service in this blog.